Roland is the Head of Strategic Projects at Swiss Post in Bern. In his former role as Project Manager in the team of Corporate Development at Swiss Post in Bern, he was focusing on trend identification and new business development, ensuring the future of this large organization by bridging the gap between future trends and current business. 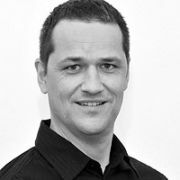 Prior to Swiss Post, Roland worked at BenQ Mobile for a year as an Innovations Manager for the Product Definition Team, as well as a Design Manager of the Innovations Team Center User Interface at Siemens for three years.